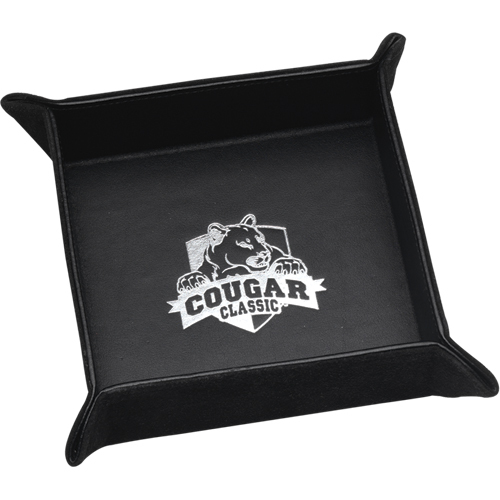 Tray is perfect for the office desk or as a stash tray on the road. Snap closures can open to lie flat for travel in your suitcase. The inside is fully leather lined and the outside features soft suede. Size: 5 1/2" x 5 1/2" x 1 1/2"
Imprint area: Inside 3" x 3"